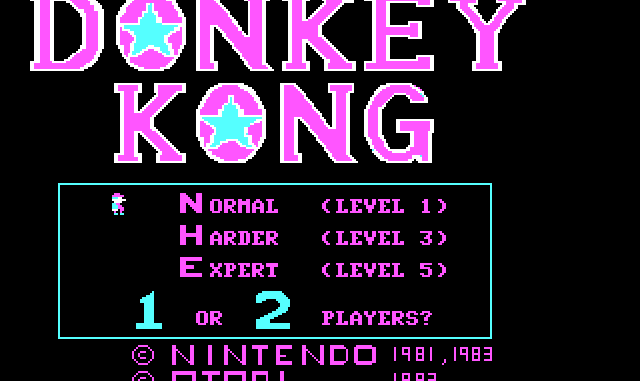 Along the way, Mario must dodge a constant stream of barrels, “living” fireballs, and spring-weights. Although not as powerful as in other future games, Mario can find a hammer which allows him to destroy the barrels and fireballs for a limited amount of time. Additionally, Mario can also find Pauline’s hat, purse and umbrella for additional bonus points. 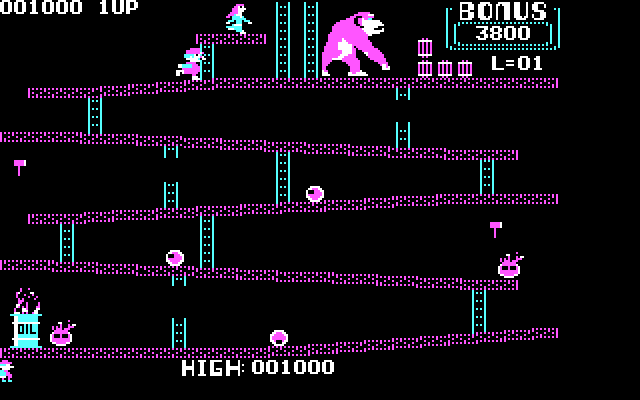 Donkey Kong is also notable for being one of the first complete narratives in video game form, told through simplistic cut scenes that advance the story. It should also be noted that in many conversions of the original coin-op game for early 1980’s consoles and computer-systems, Donkey Kong only used two or three of the original levels, with the cement factory most often omitted.